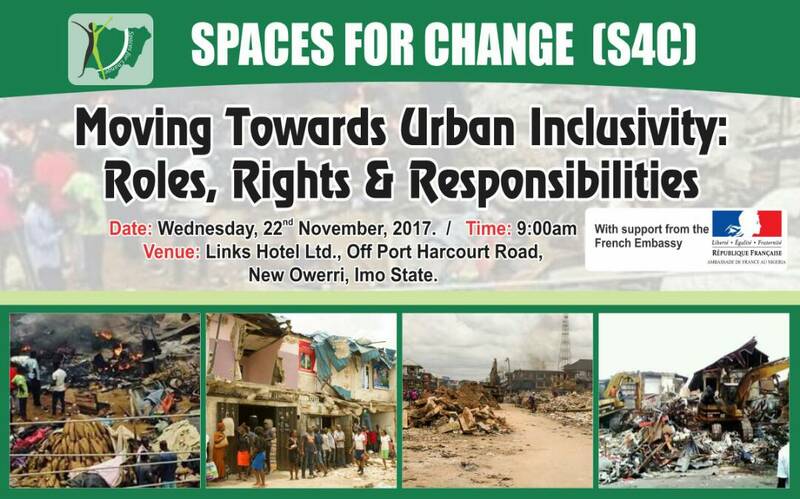 SPACES FOR CHANGE convened the Moving Towards Urban Inclusivity Workshop in Owerri on Wednesday, November 22, 2017. 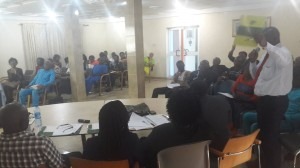 There were 45 persons in attendance, comprising traders, market women, members of the Nigerian Bar Association, federation of women lawyers (FIDA), civil servants, religious leaders, retirees and NGO workers. The aim of the workshop is to build awareness of housing rights within the context of the state’s urban renewal agenda, as well as under national and international law. 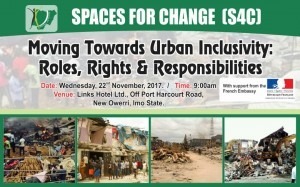 Also, the workshop sought to understand the legal foundation undergirding the Imo State Urban Renewal program (URP), examine the extent of the URP’s compliance with Nigeria’s housing human rights obligations and evaluate the formal and informal systems and mechanisms for demanding legal accountability. The event’s five speakers clarified the nature and scope of the URP program, and the implications for due process and the rule of law. Urban renewal connotes that adjustments may be made to urban spatial design, as well as the physical, social & economic spaces. An urban renewal program needs to be driven by a legal framework which must spell out procedures for making spatial adjustments, clarify the role of agencies and establish consequences for breach of those procedures. Overall, a plethora of comments emphasized that no such legal framework exists. 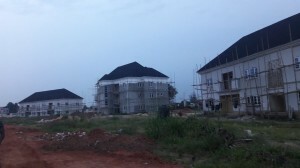 Nevertheless, Imo State has a masterplan which has been sighted by a number of individuals in the state. According to the state chairman of the Nigerian Bar Association, the laws governing urban renewal in Imo State only reside in the imagination of the state governor, Rochas Okorocha. As such, the governor can wake up one morning; demolish a library, replace it with a chapel, or demolish a Government House and replace it with a cultural center. The presentations provoked a number of testimonies regarding the massive land-grabbing going on in the state, the widespread demolitions of public and private buildings, the flagrant disobedience to court orders by the state governor. Other interventions by participations focused on the weakness of state legislature, the absence of vibrant activism in the state, mass apathy, collective inaction in the face of continuing executive impunity and arbitrariness. It was also observed that demolition exercises are not limited to the state capital, but has also affected rural areas. The absence of vibrant activism in the state is not unconnected to the factionalization of pressure groups like the Nigerian Bar Association, the disintegration of indigenous communities, the collapse of traditional institutions, compromised media institutions and poor funding for local NGOs. Regarding the weakness of the state legislature, a participant sought to know the procedure for the recall of non-performing legislators. The NBA chair, Mr. Nwakaeti explained in detail, the procedure for recalling under-performing lawmakers, drawing examples from the recent case of Dino Melaye. The general consensus was that initiating a recall process could possibly jolt Imo lawmakers out of complacency, leading them to perform their oversight functions. In terms of the collapse of traditional institutions, Imo State Governor, Rochas Okorocha had split several indigenous communities into autonomous communities, and appointed several local chiefs to oversee them. This led to the disintegration of clans and villages, triggered internal strife within localities that were previously bound by common kinship and cultural ties. With that division entrenched, it is now impossible for communities to speak with one voice. Similarly, pressure groups like the Nigerian Bar Association (NBA) have been balkanized into multiple chapters, with the body now having autonomous chapters in Orlu, Mbaise, Owerri and another one emerging in Mbano. With the multiple leaderships, coordination has been difficult and contradictory statements on topical issues are often released by the different chapters. More so, NBA chapters that are sympathetic to the current government have been showered with gifts of cars and buses to enhance their operational independence. Another issue that dominated discussions is the pervasive land-grabbing in the state. In several locations, the governor has taken over land, buildings and public spaces and reallocated them to his cronies, friends and family members. Examples include Shell Camp Quarters, Imo Broadcasting Corporation Quarters, Mechanic Village Orji, Valley Estate along Aba Road, and vast portions of land near Nekede Road. In all of these locations, occupants were forcefully evicted and the buildings thereon demolished. New developments are currently springing up on the land. The FIDA representative also shared a similar encounter between FIDA and the governor’s daughter. The governor’s daughter had encroached on portions of land belonging to FIDA along MCC Uratta Road. She erected an imposing edifice on the land where she runs a private business called, HOUSE OF FREEDA. As if that was not enough, she wanted an additional portion to enable her expand her business. All efforts to intimidate FIDA to hand over the land to her were futile. From the discussions that ensued, it was obvious that the anger and tension in the state was high. It was also evident that citizens were losing faith in the legal system and accountability mechanisms. In the afternoon session, S4C conducted a special training on housing rights design. ed to address the human rights violations associated with the state’s urban renewal agenda. 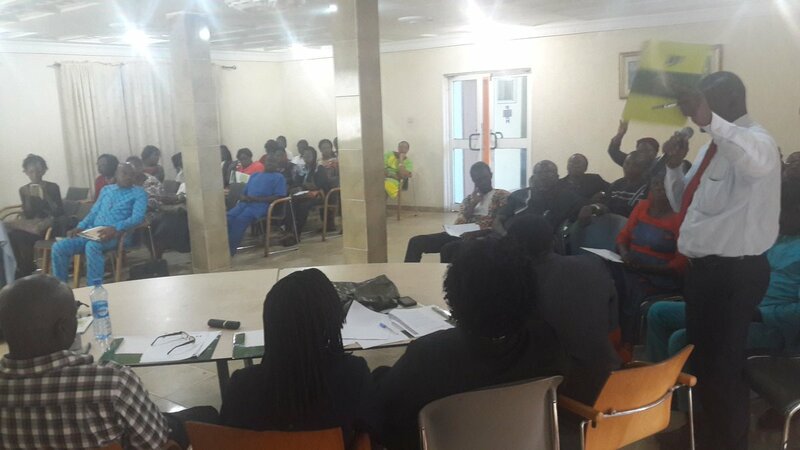 The workshop serves as a foundational course or introductory training program to propagate housing as a human right, and address the issues of inclusivity in urban planning within the context of the state and national legislations. The executive director of SPACES FOR CHANGE, Victoria Ohaeri explained urban inclusivity to mean a city’s ability to accommodate and respond to the needs of diverse city inhabitants regardless of gender, race, class, sexuality, disability. An inclusive city must provide the same opportunities and services to all residents. 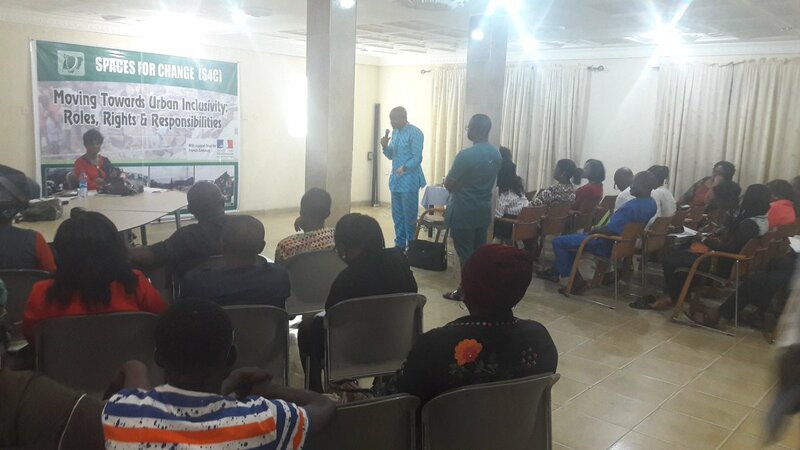 -To make a formal request to Imo State Attorney General and Speaker of the House of Assembly for the legal framework driving the urban renewal program. – To partner with local authorities to take the housing rights advocacy to the rural areas in the 27 local governments of the state.